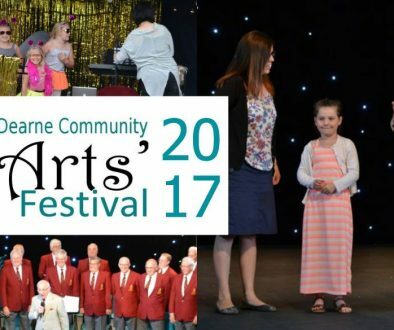 The Dearne Community Arts’ Festival is an opportunity to champion creativity and celebrate our local community. We hope you enjoy exploring the creativity to be found in our local area through the exhibitions, workshops and performances on offer here over these two days. 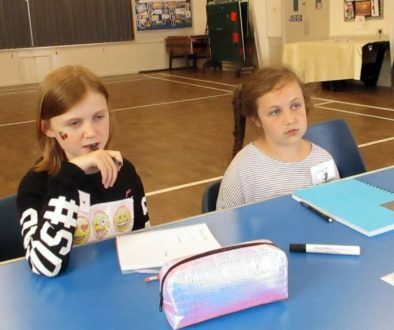 Local residents, art groups, craft groups, sewing classes and a whole raft of community groups have worked tirelessly since last year’s festival to produce the works you will see here. 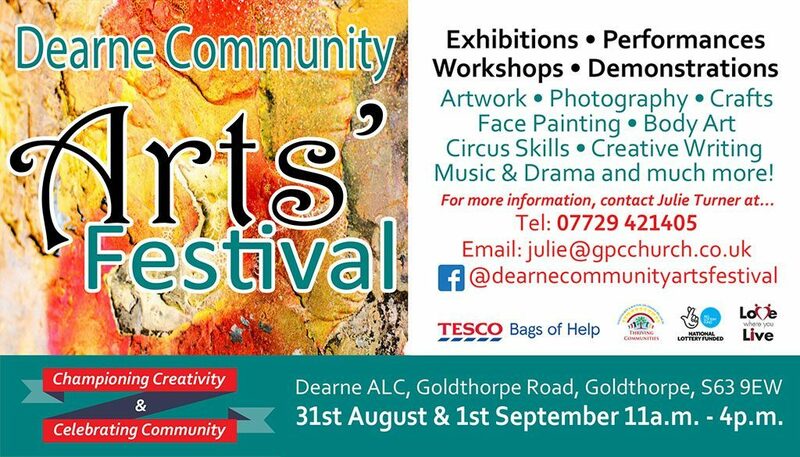 We are very grateful to Dearne ALC for this amazing venue which gives us much more space to showcase local talent and hope you will respect the buildings and grounds in all you do. Exhibitions can be found in the High Street area, where you can browse paintings, photos, crafts, woodwork, sewing, hardanger, and much more…! Please ask individual exhibitors about purchasing items where applicable. 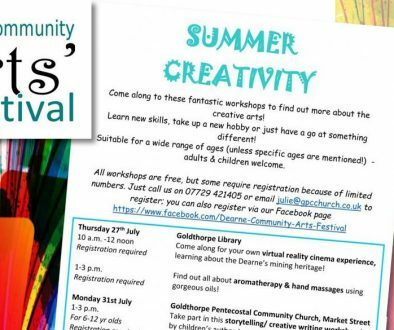 Creativity and technology can be found combined in the Lecture Theatre (just off the High Street), where the Art of Mining will be demonstrating virtual reality cinema and there is also a 3D printer to enjoy. Performances of music and drama are in the Main Hall (just off the High Street) throughout the two days. Don’t miss the official opening & prizegiving ceremony there at 11 a.m. on Friday 31st August. Another ceremony will be held on Saturday 1st September for those unable to attend on Friday. Circus skills can be enjoyed in the Sports Hall, just off the High Street, between 11.30 a.m. and 2.30 p.m. on both days. Workshops and demonstrations covering a wide range of arts, crafts, model making and creative writing can be found in the Humanities Area (to the right of the High Street as you enter.) On Saturday, there will be crafts for under-5s in this area too. Refreshments and some activities are held outdoors, to the rear of the building. Please ask for directions if necessary, browse the programme to find out what’s on when and enjoy a fun-packed festival with activities for all the family! Please note that all activities are subject to change.